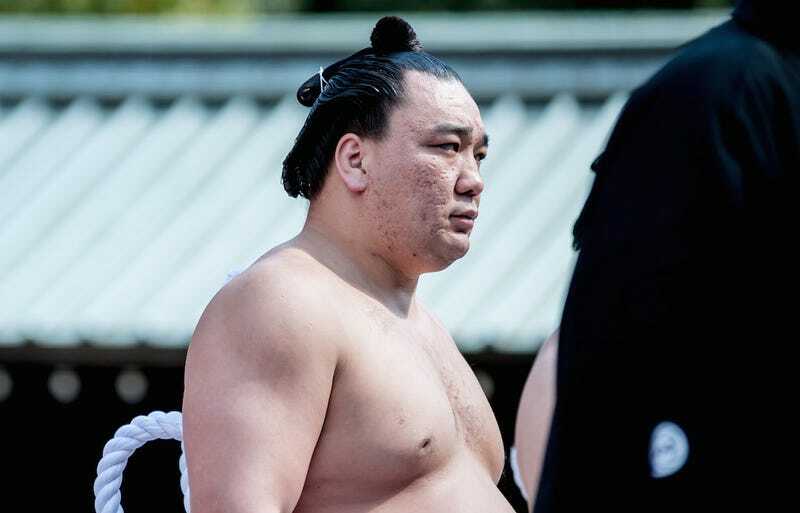 Harumafuji Kōhei, a sumo wrestler who’s attained the rank of yokozuna, hit fellow wrestler Takanoiwa Yoshimori with a beer bottle at a bar in October and left him with serious injuries, according to Harumafuji’s stablemaster, via the Japan Times. That’s admittedly a lot to parse—yokozuna is the highest rank in sumo, with just 22 men having achieved it in the last 50 years, which should suggest the magnitude of the scandal—but a more thorough article at Japanese outlet Sponichi provides further information. (Kotaku’s Brian Ashcraft roughly translated an excerpt of the article for me.) According to the account, Harumafuji straddled Takanoiwa at some point and hit him around 20 times with his hands. Takanoiwa suffered a concussion and skull fracture from the brawl, and his career is in jeopardy. Sumo blog Tachiai has a thorough timeline of the scandal and a list of the key players involved. It’s quite a rabbit hole.